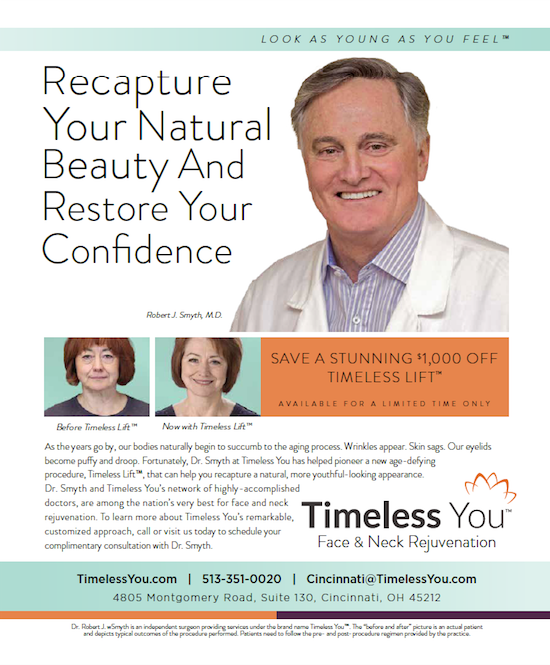 Timeless You Face & Neck Rejuvenation was a special brand that simply lacked an identity and a voice. 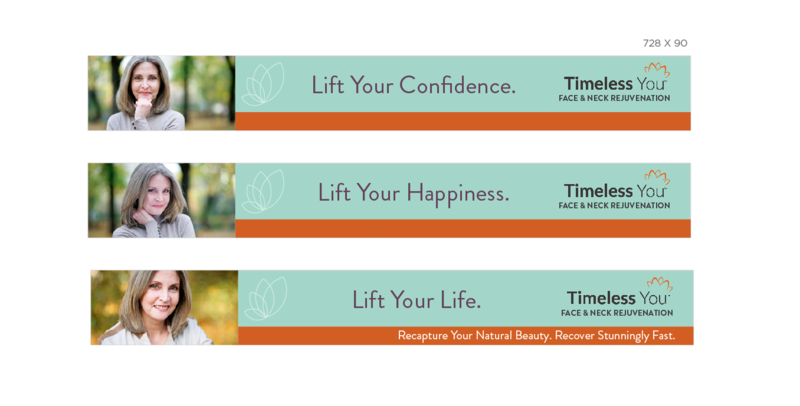 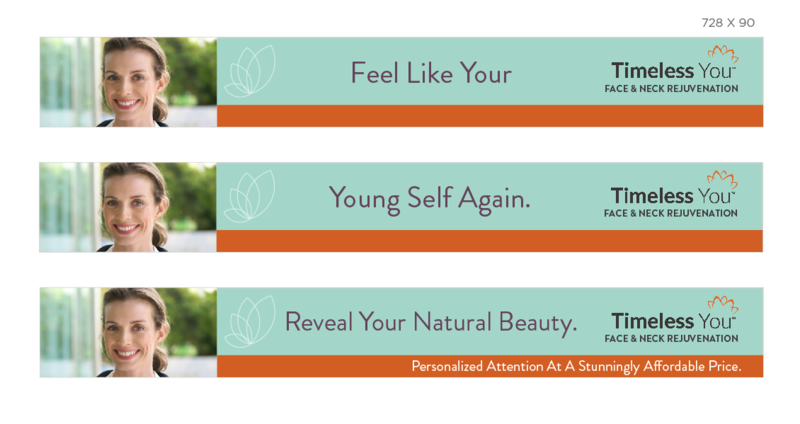 On a tight budget, Migration helped establish a fresh, new identity for them through a new website, print ad, online banners and… not just one… but three direct response TV commercials that featured traditional Before & After results, patient testimonials, and an inspiring image spot focused on one’s “relationship with the mirror”. 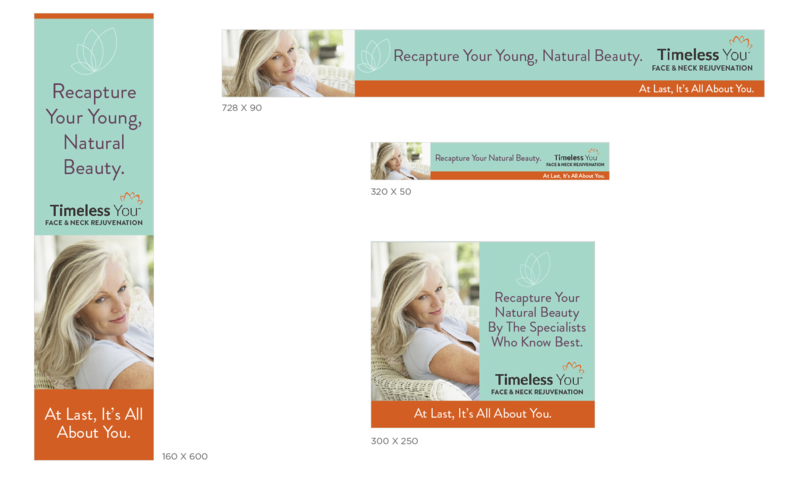 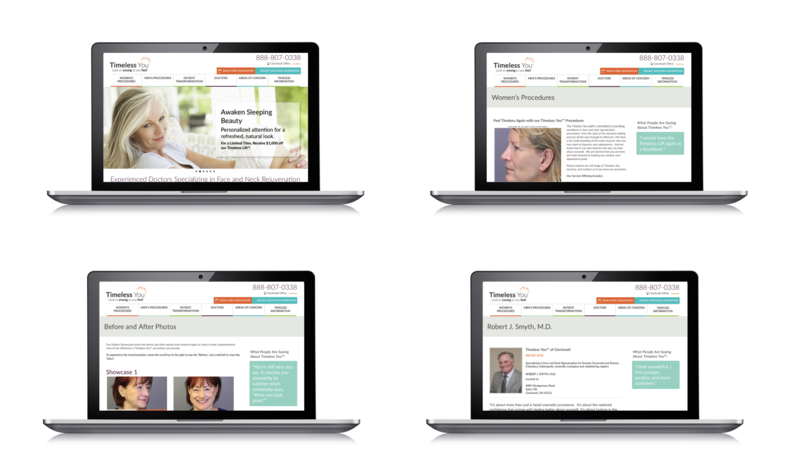 Each spot was then utilized in various formats/lengths for broadcast, website and social media.